Project examined 407 Indigenous deaths in custody since 1991; Hedley Thomas and Slade Gibson win Gold Walkley for true crime podcast. Guardian Australia’s Deaths inside project, which tracked Indigenous deaths in custody since 2008, has won the innovation award at the 63rd Walkley awards for excellence in journalism. 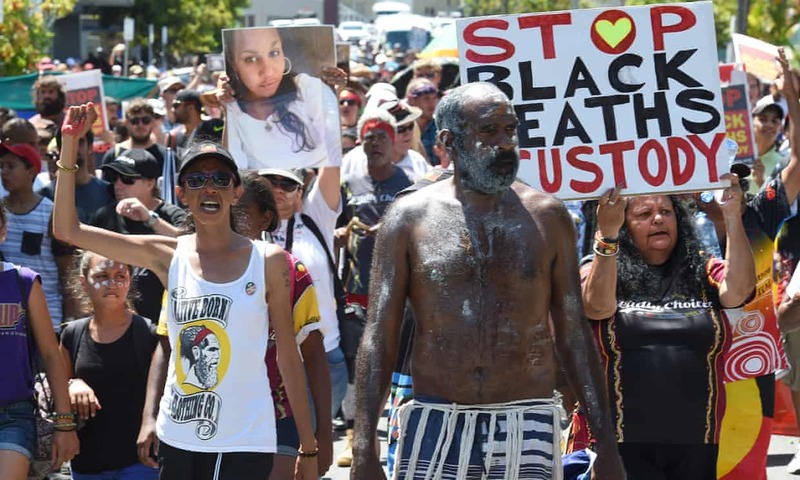 The Deaths inside project showed that, since the royal commission released its 339 recommendations in 1991, there have been 407 Indigenous deaths in custody. The project’s reporting team – Lorena Allam, Calla Wahlquist, Nick Evershed, Helen Davidson, Jack Banister and Miles Herbert – spent months reading every coronial finding relating to an Indigenous death in custody. Developer Andy Ball and illustrator Charlotte Allingham were also recognised. “The numbers only tell part of the story,” said Allam, Guardian Australia’s Indigenous affairs editor. In other awards, the Gold Walkley – the night’s top honour – went to the investigative reporter Hedley Thomas of the Australian and the composer/producer Slade Gibson for their podcast The Teacher’s Pet, which explored the 1982 disappearance of a Sydney mother, Lyn Dawson. “Bundle of Joyce”, the front-page story in the Daily Telegraph by Sharri Markson, Christopher Dore and Kylar Loussikian, picked up scoop of the year for revealing that the then deputy prime minister Barnaby Joyce was expecting a baby with his former staffer Vikki Campion. Louise Milligan’s ABC Four Corners report on the Sydney man Luke Lazarus, who was found not guilty of sexual assault on 18-year-old Saxon Mullins, won the public service journalism award. The New South Wales government referred the state’s consent laws to the Law Reform Commission as a result of the Four Corners investigation. The former ABC Pacific correspondent Sean Dorney was awarded for outstanding contribution to journalism. A joint investigation by Fairfax and the ABC ​ into allegations that former Channel Nine star Don Burke sexually harassed and bullied multiple female employees won the category for best text or print report for Kate McClymont, Lorna Knowles, Tracey Spicer and Alison Branley. The Don Burke investigation also won the TV current affairs category for less than 20 minutes. The outgoing chair of the Walkley advisory board, Angelos Frangopoulos, said there had been 1,329 entries this year and judges had to carefully consider each one. “It’s so exciting to see innovative formats for journalism reaching huge audiences, and the diversity of our winners is a ringing endorsement of the quality of Australian journalism,” Frangopoulos said.